The other day my mother and I went to see Maleficent. In spite of not knowing much about the film going in, she and I both thoroughly enjoyed it. From the cinematography to the makeup to the characters themselves, everything was wonderful. What captured my attention most of all was Maleficent. Because she was portrayed as a sympathetic character rather than a one-dimensional villain. I’ll refrain from spoiling as much as I can. All you need to know is that in this version of the classic tale, we get much more of Maleficent’s backstory. We see her as a young faerie and learn about the events that have hardened her heart. It is easier for us to understand her (otherwise questionable) actions because we know her past experiences and have a better sense of her wants and motivations. Most importantly, Maleficent is dynamic. At the end of the film, she is a different woman than she is toward the beginning. Once again, I don’t want to spoil, so that’s all I’m going to say about that. Maleficent was delightful, refreshing, and entertaining. While watching the film, I also learned a great deal about writing likable and three-dimensional villains. Whenever you want to add depth to your baddies, make sure they have a backstory, clear motive for what they do, and some kind of arc. If the villain hasn’t been changed by the events of the story, then what is the point for the story at all? Have you seen the movie? What did you think? 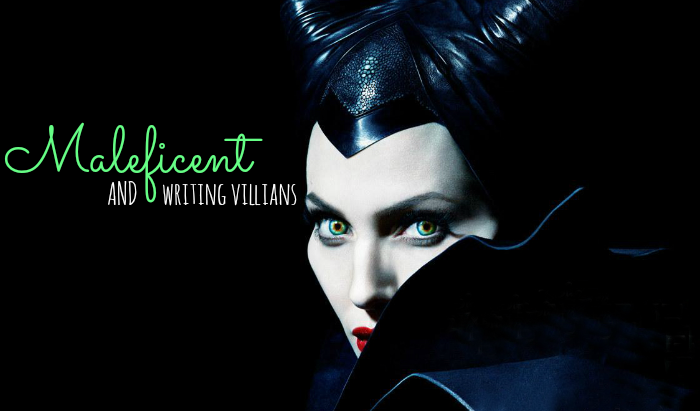 What do you think is the key to creating quality villains? P.S. The 4 “A”s of Characterization, How to Develop Stronger Characters, and How to Get into Your Characters’ Heads.